This word-group deserves treatment as a kind of appendix to our series on ST. For if the claim is true that hilas- means propitiation, then that might be evidence of ST in Scripture – since propitiation is a similar idea to satisfaction. 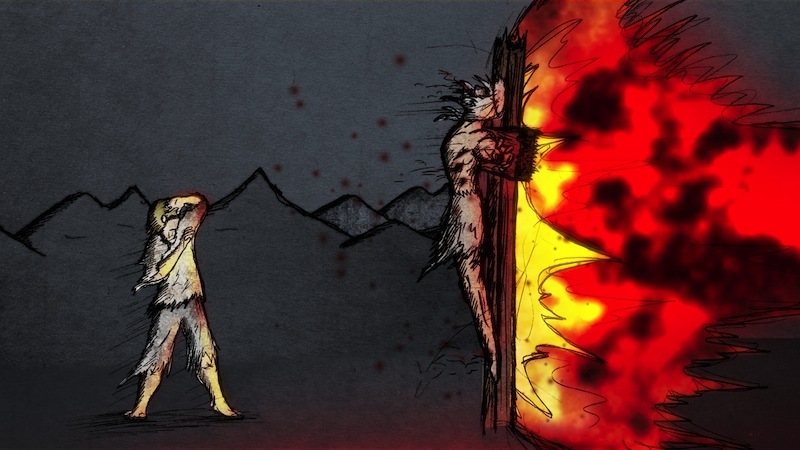 The story of propitiation goes like this: the god is angry with us. We will suffer the consequences of his wrath unless we can placate or propitiate him in some way. This concept is common in pagan religions the world over. Most Christians (including many evangelical scholars) agree that this view of god is horrendous and incompatible with the God of Israel. However some have gone for a modified take on propitiation. How is this modified view different from the pagan one? It’s not easy to articulate this, but one distinctive is in the role played by God. In the Christian take on propitiation there is nothing we can do to turn aside God’s wrath. But God makes a way of atonement – a propitiation. His wrath is turned aside elsewhere (onto Christ) and so we escape. This is necessary for our salvation, for his wrath must go somewhere: God cannot simply switch it off. You can see that this has the same thought-structure as Satisfaction Theory. Propitiation is really a variant of satisfaction. This is why the hilas word group tends to be prominent in evangelical accounts of ST. So does hilas- mean ‘propitiation’? And if so, can this word swing the debate in favour of Satisfaction Theory? We’ll take these questions in reverse order. Firstly, can this word swing the debate in favour of ST? Let’s assume for the sake of argument that hilas- did mean ‘propitiation’. Would that establish the popular evangelical idea that the Cross of Christ atones by rendering satisfaction? The reliance on ‘hilas-’ to establish this doctrine is an example of one of our evangelical besetting sins: doing our theology through word studies. We like the idea that a whole lot of meaning (= theology) can be stored in a single word. We can extract it from the word, and ‘hey presto!’ – instant theology. Actually words don’t work in this way. And neither does theology. Modern linguistics tells us that meaning (i.e. theology) does not reside so much in individual words as it does in sentences, paragraphs, stories, books – i.e. in larger units of language. To do our theology well, we need to exegete texts, not individual words. Ultimately the whole bible story is the unit that encodes the meaning we need. In other words biblical theology is the discipline to work with for building our theology – not word studies. To jump straight from word study to theology is to short circuit the whole process of actually reading the text. So we should be wary of any argument that proceeds on the basis of word-studies. The hilas word-group (or any other word-group) can never be a strong argument for ST, or for any other doctrine. For more on the problem of word-study theologising, see here. Tomorrow: Does hilas- mean ‘propitiation’? Actually I’ll just change the whole sentence. Is the Cross a Satisfaction? Part 5: Why do we love it?